I have long been a fan of white chocolate over milk or dark chocolate. 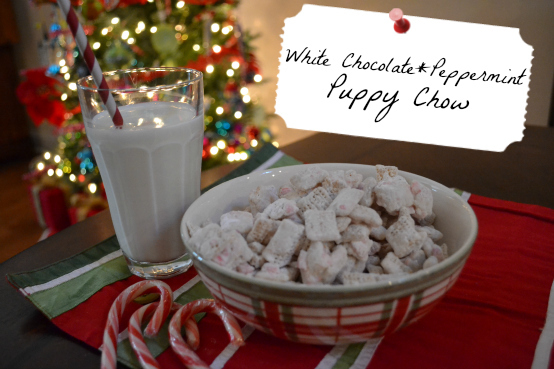 So when I found this delicious recipe for the traditional puppy chow with a Christmas-y twist, I was completely on board! 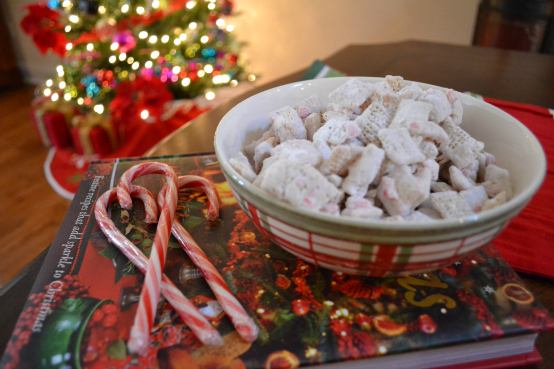 And it's official - this is Christmas in a recipe. It's so simple, quick, and perfect for you mamas to bring your little ones into the kitchen to help. I'm actually making this for a Christmas treat exchange this weekend, with high hopes that my bags are going to be the favorite! 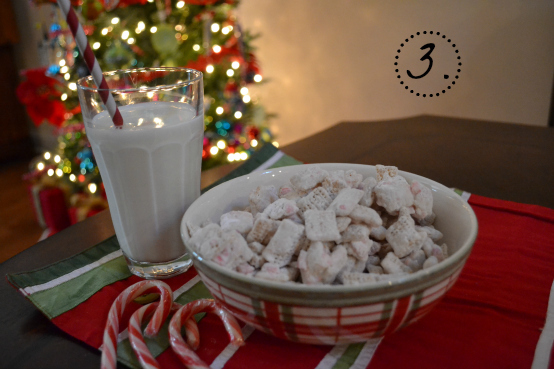 Mix cereal, melted morsels, and crushed candy canes in a large bowl making sure that each cereal square is nice and sticky with chocolate. 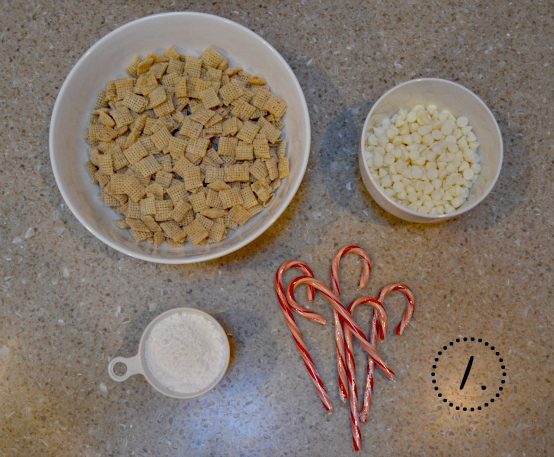 Pour the cereal into a covered container and add the powdered sugar. 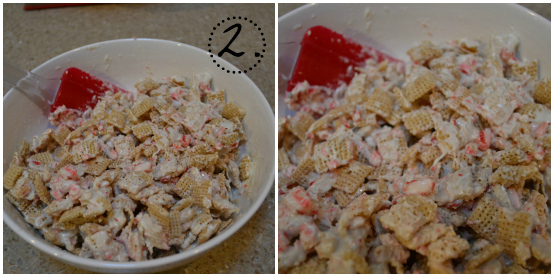 Cover the container and shake, shake, shake until the cereal is well-coated with sugar. The finished product should look something like this. . .
Looks absolutely delicious, thanks for sharing. Hope you have a wonderful weekend. Ok. I tried to comment on your most recent post with those fabulous earrings but couldn't find a place to do so!!! I have never seen these before and I am obsessed! Wow, that sounds amazing! Super sweet, but amazing! Love your blog and pictures. Oh, this is so what I don't need. Except I do! Love the recipe, it is already copied and printed! Ooh my mom would love this!